I've been thinking a lot lately about the importance of good sleep, mostly because I used to be a stellar sleeper but at 8 months pregnant, things have changed! I also had the opportunity to try a new fitness tracker, the REM-Fit Active 200, which focuses its users on the importance not only of intentional exercise, but also of regular activity and good sleep (be sure to read to the end for a discount code!). This is another great holiday gift idea. 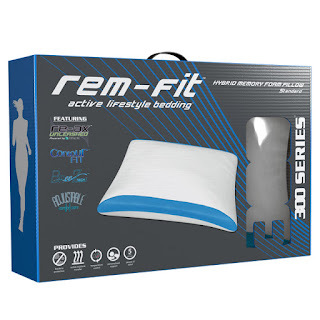 The REM-Fit Active 200 is unique in that it's made by a bedding company. Yep, these folks understand how to get some ZZZs! The tracker can be worn as a bracelet or as a belt/pocket clip on (which I really like because I wouldn't wear a tracker bracelet to work!). Through the REM-Fit app, you can view steps taken, distance traveled, and calories burned like other trackers. You also rack up ActivePoints, which reflect the intensity and duration of activity. I liked this feature because I've been known to march in place to hit my step count using my other steps tracker... but you can't fool the REM-Fit into giving you ActivityPoints! Sleep is often one of the first things to go when people feel pressed for time. Many view sleep as a luxury and think that the benefits of limiting the hours they spend asleep outweigh the costs... Medical conditions, such as obesity, diabetes, and cardiovascular disease, develop over long periods of time and result from a number of factors... [but] insufficient sleep has also been linked to these and other health problems, and is considered an important risk factor. The tracker came with the REM-Fit 300 pillow, which is made of memory foam and has temperature control features so it doesn't get too warm. I can't stand a hot pillow so I found this extra comfy for sleeping. Overall, I would definitely recommend this pair of products as a holiday gift for someone who's into data and sees the connection between sleep and health. One thing that I found is that the step counter isn't as sensitive as other trackers, so if your main goal is getting 10K steps a day, you may be disappointed with the REM-Fit's way of counting steps. But, if you want a holistic view of health and a super comfy pillow, I'd give these products a try! Good news! 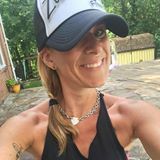 The nice folks at REM-Fit are offering you 20% off all of their products! Just use the code JC20 at check out. Happy shopping! Note: I received the REM-Fit Active 200 and 300 pillow in exchange for posting a review. However, all opinions are my own and honest!